A country as diverse as India represents the plurality of its culture. The Hinduja Foundation endeavours to preserve and protect the rich antiquities of India to educate the present and the future generations. The Foundation's Antiquity Collection showcases a large number of coins from the times of ancient India. Paintings, bronzes and stone sculptures, terracotta's, wood carvings, erotica, textile, beads, photo archives and rare books also form a part of the enviable collection. The antiquities of the Collection are of historical interest and are a reflection of the art, crafts, literature, science, religion and customs of the bygone times of India. The Collection was received uncataloged. To systematically document and catalog the Collection, the Indian Institute of Research in Numismatics, Nashik, successfully carried out detailed documentation in respect of the coins at the Institute in Nashik. The other antiquities have been documented by object experts. The curating of the Collection is being carried out by a leading archival services firm. We are utilizing state of the art Collection Management software to securely store the documented details of the collection and afford ease of documentation, viewing to researchers, and selective public web access through a virtual museum. Data center with high end servers has been established to host the software and collection data. We envisage state of the art display fixtures, other modern interactive methods: touchscreen with individual items genealogy; audio (oral history); documents (letters, papers, records etc. ); newsreel/movie/documentary; website; display of other arts and artefacts of the Collection. A library and archive for research and reference, for scholars, studentsestablished to host the software and collection data. 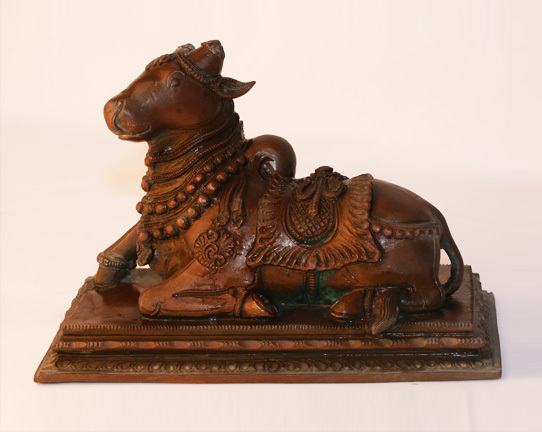 Display the Hinduja Foundation Antiquity Collections in public places and through the website for the benefit of the public. Partner with Universities and other bodies for research into numismatics, heritage and culture of India. Create catalogues and other publications to spread knowledge of this antiquity. Run programmes and events on antiquity, culture and history of India.